Introduction: With ICAST 2008 is just a little more than a month away it is preview time here at TackleTour Headquarters as we break stories on upcoming products. 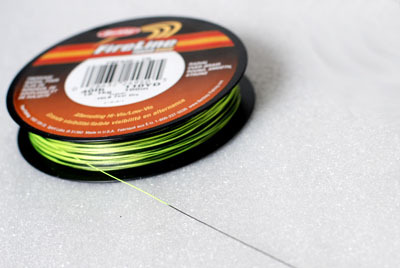 Here is a first look at some of the new 2009 fishing lines by Berkley, Spiderwire, and Stren. 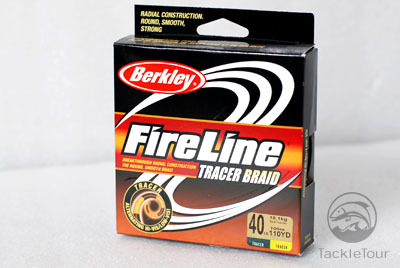 Berkley Fireline Tracer Braid: With the new introduction of Fireline Braid which is a superline that claims to be rounder, smoother, and stronger, comes the new Fireline Tracer Braid. This new braided line has the same performance values of the Fireline Braid but is designed with Tracer coloration. The line is dual colored, alternating every two and a half feet from high visibility chartreuse-green and low-vis dark green. According to Berkley this provides a point of reference to easily detect line movement and also can be used as a low-vis leader to tie to terminal tackle. 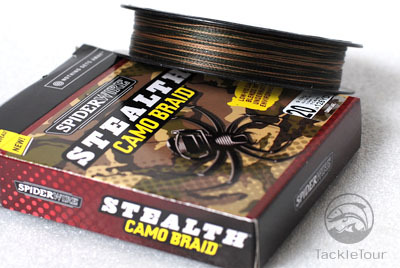 Spiderwire Stealth Camo Braid: It's great to see companies coming out with different variations of braided lines using their latest technological advancements. Braided lines pretty much started with the basic white or green colored lines but now we have more to choose from. 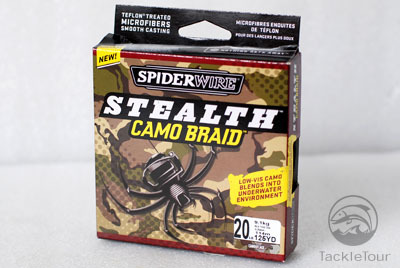 This brings us to the new 2009 Spiderwire Stealth Camo Braid fishing line. The camouflage colored braided line uses varying color pattern to help it blend with the environment when you're fishing. 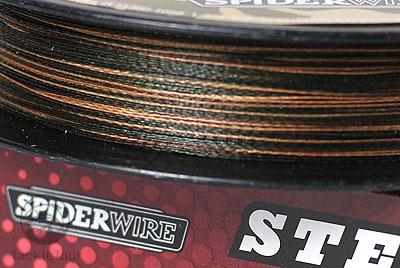 From what we can see on the filler spool there are 4 different colors within the new Spiderwire Stealth Camo Braid. The line is made of ultra-high strength PE fibers, Teflon pressure-treated which gives the line ultra-smooth casts, whisper quiet for stealth presentations, and helps resist digging in on the reel's spool. 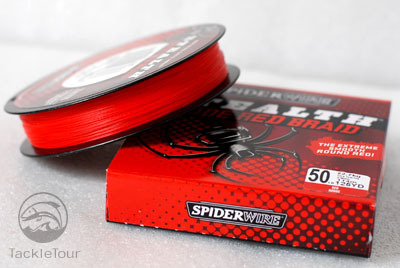 Spiderwire Stealth Code Red Braid: As you have seen with monofilament, companies have produced red colored lines. The color red is the first color to fall off the charts as it gets deeper in the water, thus becoming more and more invisible as your lure dives towards the bottom. 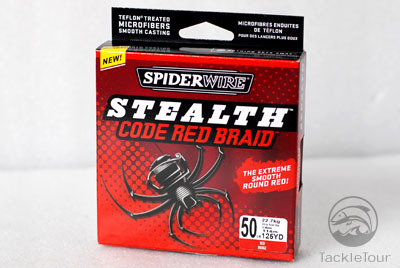 Now red has moved into braided lines as Spiderwire offers their new Stealth Code Red superline. This braided line has all the superb characteristics of the Stealth Braid but enhanced with Spiderwire's Color Lock Technology. This advanced fabrication process is designed to prevent the red color from fading as you've seen with other colored superlines. We'll be anxious to verify this as we put the Code Red into our future product review queue. 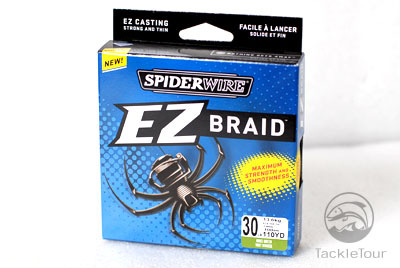 Spiderwire EZ Braid: While some lines are specifically designed to meet certain performance needs such as durability or ultra-smooth casts, the Spiderwire EZ Braid is developed to provide maximum strength and at the same time greater smoothness. 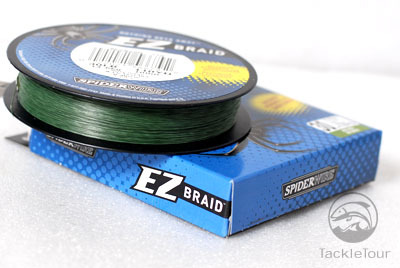 The EZ Braid makes use of Dyneema microfibers that are 3X stronger than monofilament fishing lines. The diameters are also two to three times smaller than mono of the same pound test. 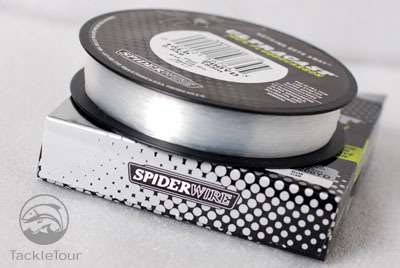 Not only is the line thinner and stronger, Spiderwire uses a high-tech fiber construction and coating method that is designed to make casts effortless. 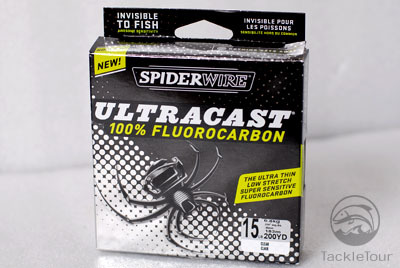 Spiderwire Ultracast 100% Fluorocarbon: Moving away from the braided lines we see a new fluorocarbon line by Spiderwire, the Ultracast 100% Fluorocarbon. We've seen many fluorocarbon lines and as the years go by each company is offering their own unique formulation. The Ultracast 100% Fluorocarbon is touted as having extreme strength, low-visibility, greater sensitivity, and very low stretch. 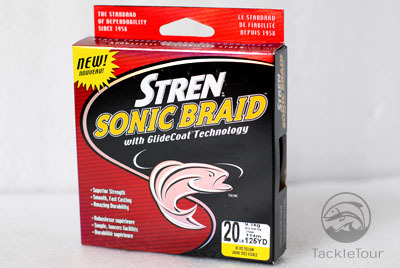 Stren Sonic Braid: Anglers are always looking for ways to improve their game. They buy rods and reels for specific techniques but casting performance has always been a key factor no matter what the application. Just by gaining a few feet in a single cast can mean the difference between getting your bait in the strike zone or not. Stren announces their new Sonic Braid. This new braided line uses the highest strength Dyneema polyethylene fiber, but what's new and unique about the Sonic Braid is the GlideCoat Technology Stren puts into making this superline. From what we've learned thus far, this GlideCoat treatment provides a finish to the fibers that lasts longer and holds color better, as if the coating helps form a stronger bond to the line material. 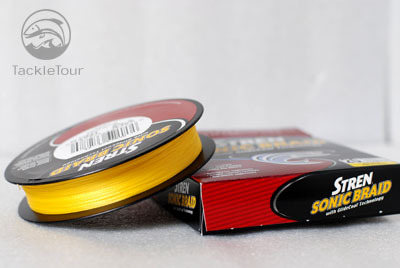 With this the line will produce longer casts that are faster, smoother, and quieter. Look for our ICAST report as we'll provide you with an update on the GlideCoat Technology developed by Stren. Conclusion: This was a quick introduction of some of the new lines for 2009 by the Pure Fishing companies Berkley, Spiderwire, and Stren. It looks like each brand is developing variants of their popular line and enhancing them as newer and more advanced processes are being used. 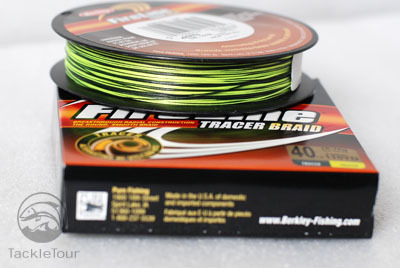 The new Berkley Tracer Braid and Spiderwire Camo Braid fishing lines are very exciting and definitely something we will have on our list of products to test for 2009, as with the Stren Sonic Braid that features their innovative GlideCoat Technology that is designed to provide superior casting performance. Stay tuned as we get more information on other new 2009 products, and look for our upcoming coverage of ICAST 2008!